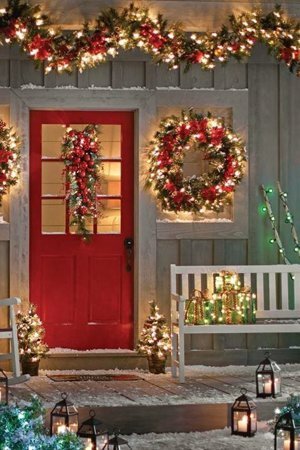 Here are some tips to keep in mind as you spread holiday cheer throughout your home. Live or fake? Either way…safety first! Before buying a live Christmas tree, make sure you’re choosing a fresh one. A fresh tree has needles that resist being pulled off and won’t snap when bent, a trunk bottom that's sticky with resin, and strong limbs that will drop just a few needles if shaken. A dry tree poses more of a safety hazard than a fresh one that has been watered. Check your water level daily and make sure your tree is in a vessel that can hold an adequate amount of water. Test your tree periodically to make sure you are keeping it sufficiently hydrated. Do this by bending needles to see if they are soft and supple or have become brittle. If you’ve already purchased and decorated your live tree, when was the last time you watered it? Set reminders on your phone to ensure you don’t forget. Placement of your tree is important. Keep it away from fireplaces and heaters, and make sure a fire extinguisher is nearby in a handy location. If you own an artificial tree, make sure it’s labeled “fire resistant” as they are less susceptible to catching fire. Whether your tree is live or artificial, hang ornaments with extra care to keep children and pets safe. Place unbreakable and non-toxic ornaments on the lowest areas of the Christmas tree. Save the upper areas for your more delicate holiday treasures. It’s also been suggested that replacing metal hooks with ribbon or string can prevent choking injury with curious pets and toddlers. Interior holiday decorating safety goes beyond your Christmas tree. Several other hazards can be lurking around your home, so take note. When it comes to candles, placement is everything. Keep them away from curtains, bedding, paper, walls or any other areas with the potential to combust, as candle flames can heat up to 1000 degrees! That’s hot stuff! Make sure to blow out candles if you are leaving a room and warn children to keep away from candles when lit. While a natural flickering flame is truly beautiful, you may want to consider battery-powered LED candles as a safer alternative. Some things can be left to common sense, but I’ll say it anyway. Don’t burn wrapping paper in the fireplace. Paper can catch fire very quickly and can cause flash fires. Instead, recycle that beautiful paper. To prevent electrical cord damage avoid using nails or tacks when positioning cords. Use hooks or insulated staples instead. Who among us doesn’t love a colorful poinsettia? While festive, these plants are poisonous when eaten, so keep them out of reach of children and pets. Additionally, if you have little ones in your home, use safety caps on all electrical outlets that are not in use to prevent shock. Keep sharp objects out of reach, as well as small decorative items that could be swallowed. Outside decorating has been reported to be more hazardous than inside. When decorating outside, keep ladders and decorations away from overhead power lines. When deploying a ladder extend it a minimum of three feet over the roofline or working area on level, firm ground, with leg levelers added if you're on an incline. A ladder also should be able to carry both your weight and any objects you're hauling. When stringing lights and decorations above your normal reach, think teamwork and have someone supporting the base. Double check lights for frayed wires or cracks, and be sure there is a bulb in each socket. Discard and replace damaged strands. Lights should be approved by Underwriters Laboratory. "UL" will be clearly displayed on the tag, signifying the product has been inspected for potential safety hazards. Red UL marks indicate the lights are safe for indoor/outdoor use, and green UL marks indicate the lights are only safe for indoor use. Use ONLY red marked UL lights outdoors. That cute inflatable snowman greeting neighbors from the front lawn can easily become a dangerous projectile if you don't follow the manufacturer's instructions for securing it. It's best to shut off the fan blowers when it's windy, when you're not going to be home for long periods, or at bedtime. All good things must come to an end. Post-holiday clean-up, while not nearly as fun as the decorating, is a necessity. Pay particular attention inside when cleaning up. After you take down the tree, give the area a thorough sweep to protect children and animals from harm. Lingering broken glass, metal hooks, electrical cords and pine needles can all cause injury. I hope you enjoy your home for the holidays! If you find yourself looking for some new halls to deck out in the next year, please give me a call or email me anytime. We can hunt down just the right home with GFCI outlets in all the right locations to make your holiday decorating a breeze next year!